Q: And biggest do-over? Knowing everything you know now, what would you have done over again? THE PRESIDENT: I probably, in retrospect, should have pushed immigration reform right after the ´04 election and not Social Security reform. …And so if I had to do it again, I probably would have run the immigration policy first, as a part of a border security/guest worker/compassionate campaign. See, I happen to believe a system that is so broken that humans become contraband is a system that really needs to be re-examined, seriously. I know there´s a lot of concern about our borders, and there should be. And we´ve done something about that. On the other hand, I don´t see how you can have comprehensive border security without a program that recognizes that there will be people doing jobs Americans aren´t willing to do, and therefore there ought to be a way for them to temporarily come here on a verifiable basis in a way that would cause them not to have to sneak here or pay for a coyote or get stuffed into an 18-wheeler, or try to walk across the desert and die. In its headline on the interview, Think Progress points out “Bush laments pushing for Social Security reform two days after citing it as his biggest accomplishment.” Regrets and contradictions aside, the GOP’s survival largely hinges on its ability to win over New American and Latino voters-which is contingent on successfully addressing the immigration issue. 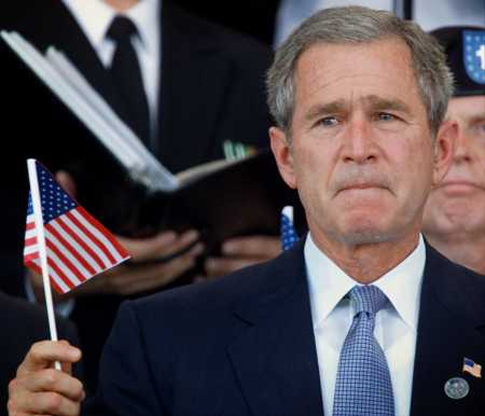 On immigration, George W. Bush came in with his heart and head in the right place, but – unable to work his will even with a Congress controlled by his own party – he exits having relied more on heavy fists…Fairly or unfairly, his administration’s emphasis on workplace raids and his failure to get reform legislation enacted likely contributed to a Latino electorate sour on any GOP ticket. The editorial also acknowledges that Barack Obama will also be assuming office with his “heart and head” in the “right place” on immigration. However, his success will depend on prevailing over vitriolic rhetoric and working with Congress to champion the common-sense comprehensive immigration reform that most Americans-immigrants and native-born-are asking for.